As an E*TRADE Financial Services Representative, you’ll be skilled in presenting complex information in a way that enables customers to make informed account-related, trading, and investing decisions. You will play an important, highly visible role in representing E*TRADE as an industry-leading brokerage and bank able to fulfill all the trading and long-term investing needs of the customer. Your career in customer service—and our investment in you—begins with an in-depth training program, including a four-week paid course to prepare you for your Series 7 and 63 licensing exams. Our investment in you extends beyond the service organization. 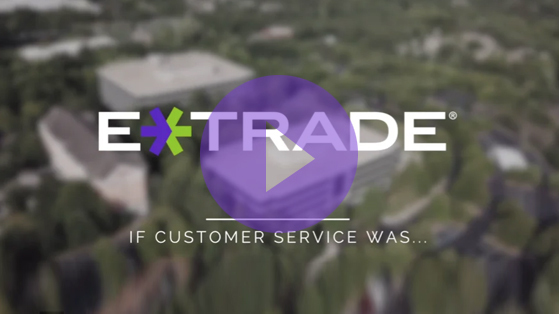 There are many different career paths at E*TRADE, and our customer service employees have transitioned to successful careers in customer service management, product management, active trader support, marketing, and sales, to name just a few. E*TRADE Financial Consultants focus on building strong long-term relationships with our most valued customers. They offer our customers a personal connection to E*TRADE, and help them plan for their most important financial goals. Whether that involves working with customers to develop a diversified retirement plan or providing objective investment recommendations, our Financial Consultants are committed to providing the highest level of service and satisfaction. Our Financial Consultants provide advice on portfolio allocation and virtually all security types. They collect customer financial information, analyze needs, identify objectives, and make investment recommendations through our proprietary financial planning process. They are also responsible for conducting effective portfolio reviews and proposing investing solutions, including professionally managed portfolios based on each customer’s individual needs. E*TRADE Financial Consultants are self-motivated, independent thinkers who share the common desire to build lasting customer relationships. 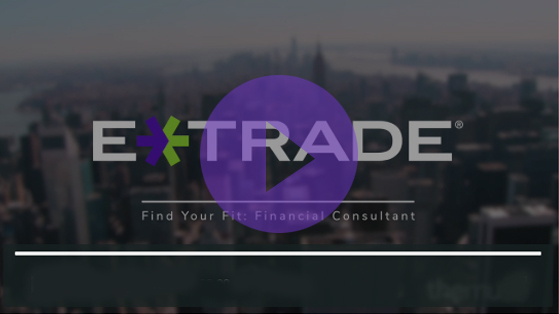 Your ability to achieve success as an E*TRADE Financial Consultant is supported by the widely recognized E*TRADE brand, ongoing marketing support, and an exceptional training and career development program. Investment recommendations are provided by representatives from E*TRADE Securities LLC, a broker-dealer member of FINRA. Portfolio management services are provided by E*TRADE Capital Management, LLC, an investment adviser registered with the SEC. To help determine which guidance option may be right for you, please visit etrade.com/guidance for additional information about account minimums, commissions, fees, etc.